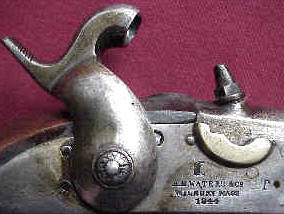 A. H. WATERS & Co MILLBURY, Mass. 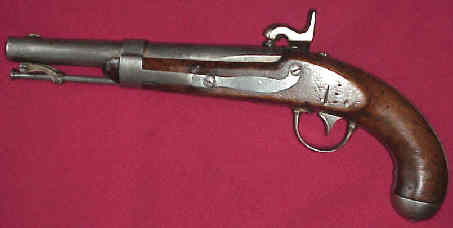 1844 made pistol, converted from flintlock to percussion, cal. 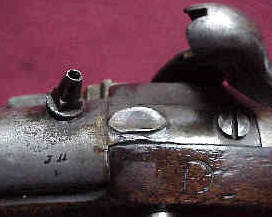 54 smoothbore, 8½" barrel with fixed front sight, swivel ramrod, several different proof stamps. Photographs authorized by "HORST HELD"